The case of the infant McGraw twins' kidnapping has been a mystery for twenty-five years, and true-crime writer Nikki St. James means to crack it wide open—but the protective Cull McGraw is wary of her intentions toward his family…and toward him. Jane Boyle's life depends on her ability to keep secrets, and detective Thomas Watson doesn't realize the nurse caring for his ailing father is in witness protection…or that the sparks flying between them put them both at risk. DEA agent Marcos Costa is undercover and ready to bring down a drug kingpin inside his own mansion—until he runs into Brenna Hartwell, his very first love. 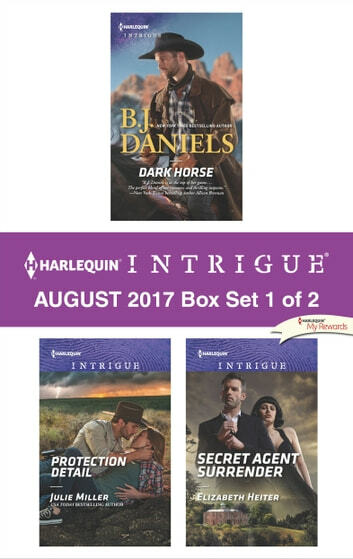 He doesn't know she's a rookie detective on a case, and their sweet reunion will be short-lived if their cover is blown. 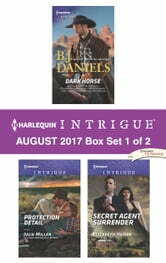 Look for Harlequin Intrigue's August 2017 Box Set 2 of 2, filled with even more edge-of-your seat romantic suspense!